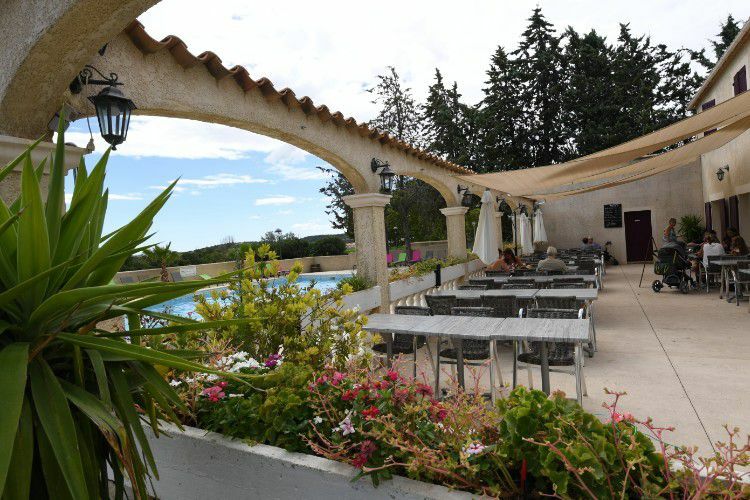 Come and stay in the region of Languedoc-Roussillon at the Evasion holiday park for unforgettable holidays. This little oasis is located in the town of Fontès, 12km from Pézanas and from Clermont-L'Héraul. This little corner of paradise is the ideal retreat if you want to spend your holidays close to the sea. Fontes is only 30 km from the beaches of Mèze, Vias and Cap d'Agde. Forget your worries and make the most of your holiday here at the L'Evasion campsite. Let your little ones have fun on the playground while you enjoy the various on-site entertainment. Visit must-see sights such as the Cirque de Mourèze, the Etang de Thau, the Grottes des Demoiselles, the Pic St. Loup or the Canal du Midi. Take a gentle bike ride to enjoy the stunning surrounding landscapes. Nearby, enjoy sports such as hiking, climbing, and various other water sports. Combine tourism and gastronomy by tasting wines and trying gourmet dishes during your visit. Inland, about twenty kilometres from the sea, you're sure to be impressed by the red of Lake Salagou's shores and surrounding mountains. You can swim there or do a variety of non-motorised sports. 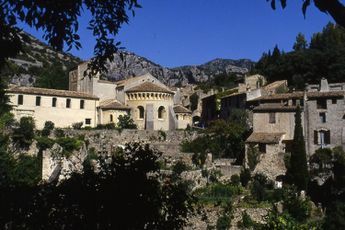 Hiking trails run through the nearby mountains and beautiful picturesque villages such as Liausson. Not far from your campsite, you can explore the chaotic landscape of the Cirque de Mourèze and visit the educational trails of the Parc des Courtinals, which include rest stops with organic beer served in a buffalo horn, and children's treasure hunts. At Vailhan, the area around the dam of Olivettes is an ideal picnic spot in the shade of the oak trees. Only 70 km away, the Cirque de Navacelles attracts crowds. Thousands of tourists descend with relish into the depths of the canyon where the river Vis cascades. Much closer to the campsite, the small town of Pézenas has magnificent mansions, ramparts and turrets. If you love old stones this is for you, and you can dream about Molière's visits to the town. As for you others, you can escape for a moment to try Pézenas' famous "sweet and savoury" little pies, while perhaps remembering the songs of Boby Lapointe, who came from here. After exploring some of the hinterland you can happily give in to the call of the coast and its long sandy beaches. 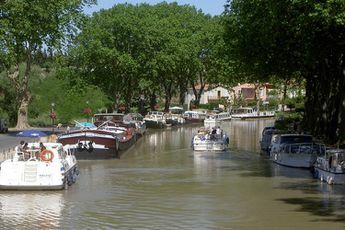 Allow an hour to reach the city of Sète and its canals. On the side of Mont Saint-Clair, between the Etang de Thau and the sea, this town is the birthplace of Paul Valéry and Georges Brassens.